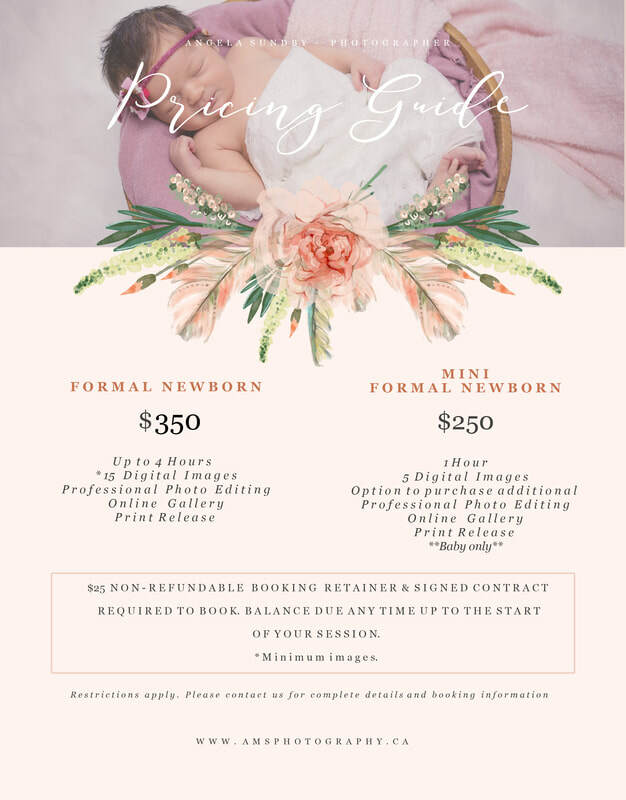 All of the above sessions require a photography agreement to be signed and your payment to be made before your session begins. 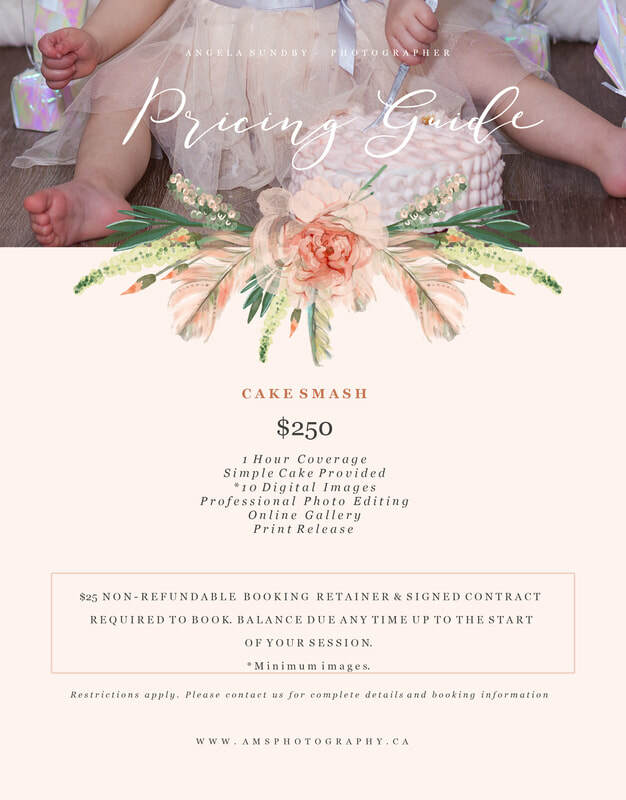 There will be a booking retainer required to book your session, payable within 48 hours of booking. This fee is non refundable in the event of a cancellation, but is deducted from your total due before your session. All sessions and costs are basic general sessions. Please contact me if you don't see what you are looking for. I am happy to work together to create a package that works for your needs and budget. 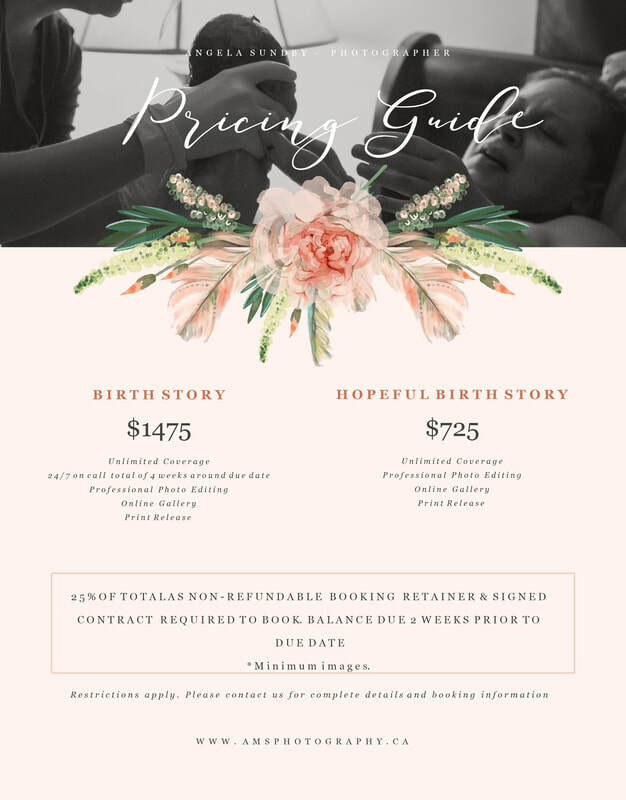 Payment plans are available ! Payments can be made via Cash, Cheque, Credit Card or E-Transfer. Although all sessions and packages include digital image delivery via Online Gallery, clients may request their images on USB Flash drive for an additional $25. Any copies beyond the first (for loved ones, etc) may be purchased for $20 each. When you decide to book with me, I prefer to meet in person, or at the least, speak on the phone as opposed to email for a couple of reasons. It is helpful if you have a location you would like to use if we could meet there so I can get a feel for what you are looking for, your personality, and for you to meet me ahead of time and be confident that I will work well for your needs. I will ask a few questions that will let me know what sort of posing or lack thereof you like, and the personalities of all involved. This will make your session go more smoothly. 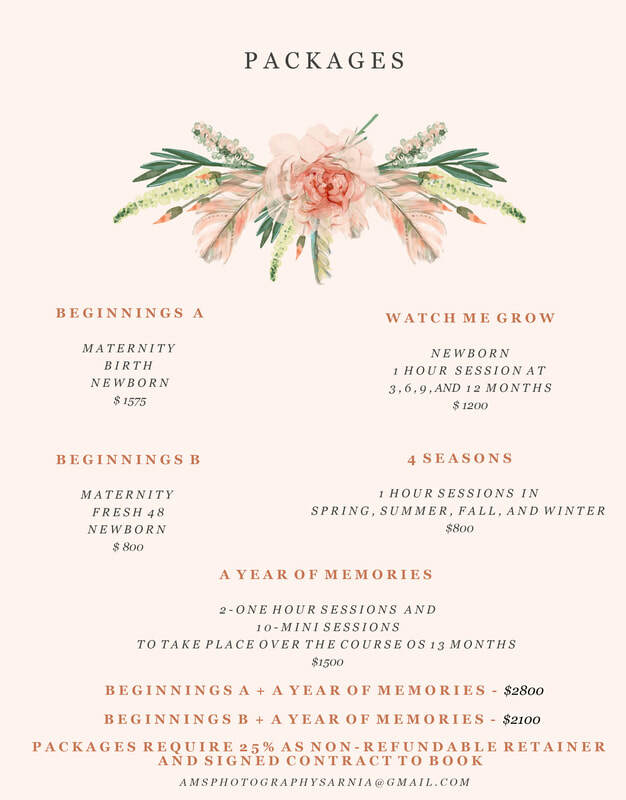 If you are scheduling a birth or newborn session, it is helpful to have this meeting at your home as this is where newborn sessions most normally happen, and it is important for us to get to know one another a little before you trust me to capture your most precious moments. 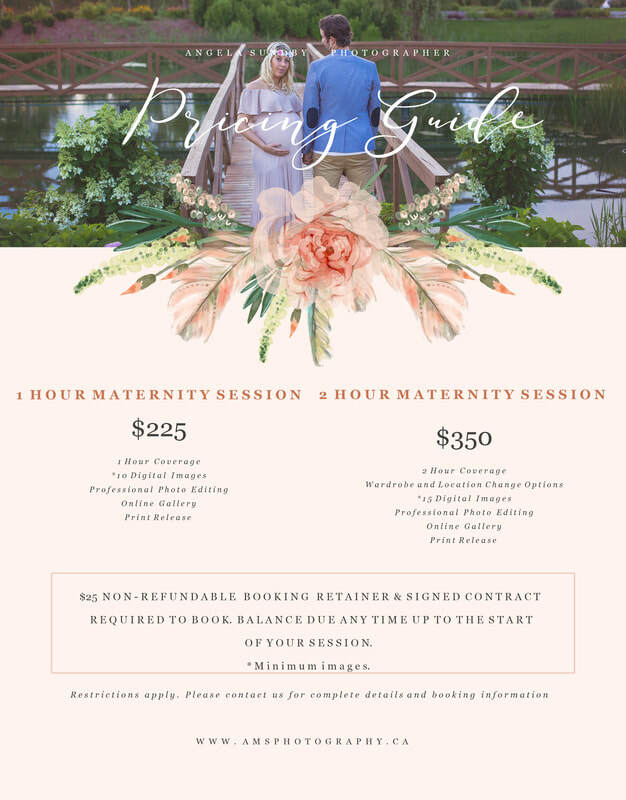 To book please contact me through Facebook (link up top), or email (link below) or call me at 519-381-4932.